The U.S. premiere of “Heartbeat of Home” from the producers of “Riverdance” just closed last week at the Oriental Theatre. However, the Torch got an exclusive interview with cast member Jason O’Neill, a featured Irish dancer from Belfast, in which he reflected on his time in the cast both in Chicago and on the worldwide tour. 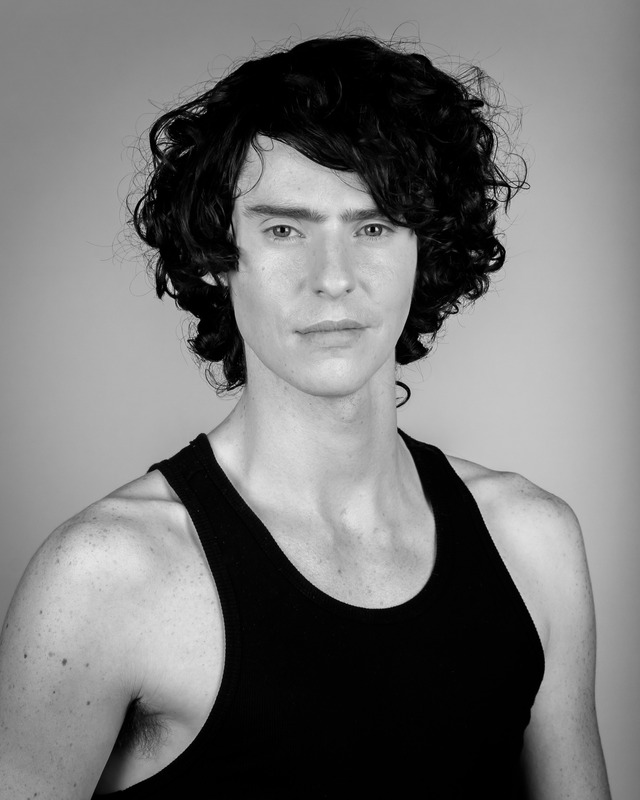 Jason has toured internationally as a principal dancer in “Riverdance.” He was also part of Prodijig’s show “Footstorm,” and he has danced for Queen Elizabeth II, First Lady Michelle Obama and the princess of Hawaii, amongst others. “Heartbeat of Home” is a music and dance spectacular that features traditional Irish, Latin and Afro-Cuban music and dance. Q: What influenced you to become an actor? A: I’ve been dancing since I was five, so about 20 years now. … Dancing was always a hobby, something I was really passionate about, but I never thought I would make a career of it. So, in university, instead of working in like an office, I auditioned for “Riverdance” and was successful at the audition, and when I started touring, I fell in love with the actual industry, and performing and touring different cities, and meeting all these new people. So it was never something I really thought about too much, I just kind of stumbled into it, and I am so glad I did. Q: What is the reason you do what you do? A: I think part of it is because I feel like Irish is a kind of niche dance form, so I’m representing my country for our art form. I am proud to be Irish, and doing my job to present that — and the rhythm in what we do. The rhythm and where I’m from is kind of my driving force. Q: Can you describe what your part in “Heartbeat of Home” is? A: I’m one of the principal male dancers and Irish dancers. I’m one of the featured dancers, [and] most of the dancing style is Irish. I do a lot of different styles in the show, but Irish is the main one. … I kind of combine that, riverdancing, and I do a lot of street dancing in the show. It’s a diverse role, but I really enjoy it. Q: What is the process you have to do as far as preparing and warming up for that role? A: It differs from day to day, but most days I try to go to the gym during the day, or go to the hot tub, and stretch and just get the muscles moving. I’ll stretch, and sometimes I get a massage. It can be a pretty intense show, and it requires a lot of cardio, so afterwards I’ll sometimes have to take an ice bath or have a protein shake to kind of recover from it, because its a two-hour show. Q: What’s your favorite part of your role? A: It’s just such an honor for me to be on the level of “Riverdance,” which is just such an Irish show. It’s just such an honor. I always wanted to dance, and I never thought it was going to be possible, because there was no such thing as a professional Irish dancer when I was a child, and now I am one of the top Irish dancers in this show, “Heartbeat of Home,” which is new, and it’s just very exciting. It’s great for us to bring the show to places like Dublin, or Shanghai, Beijing, and Toronto so far, so it’s great to be in this role and bring this show to people who have never seen it before. Q: If you could pick a different part what would it be and why? A: I really like my part, and I am glad to be able to have the opportunity to show off Irish-style dancing, and wouldn’t want to play any other part. If I could trade, I would want to be one of the musicians. They have a pretty fun job, and they’re really very talented and very expressive, as well. So, if I wasn’t an Irish dancer, I would want to be a musician. Q: What’s your favorite scene in the show? A: There’s so many parts that I love, but one of the scenes would be the one that’s in front of the New York skyline, and it’s with the workers, and its 1930s. … We’re all dressed in black and white, and the whole thing is just shooting back in time. … It’s a very exciting number, because it’s all the boys, and we’re all having fun together, and we can really show our own personalities. … There’s just something about that scene that’s really special, and I probably will have even more fun doing that scene in America because I think it’s going to be received really well. Q: Do you have any goals for the future in regards to this industry? A: As far as dancing, I’m right where I want to be. I never thought I would have the opportunity to be a professional Irish dancer. I’m excited to be touring with “Heartbeat of Home” and bringing it to the U.S. I would also love to maybe do some choreography after this show. … On the arts side of things, in the future outside of dancing, I would be interested in doing something like graphic design. That really appeals to me.